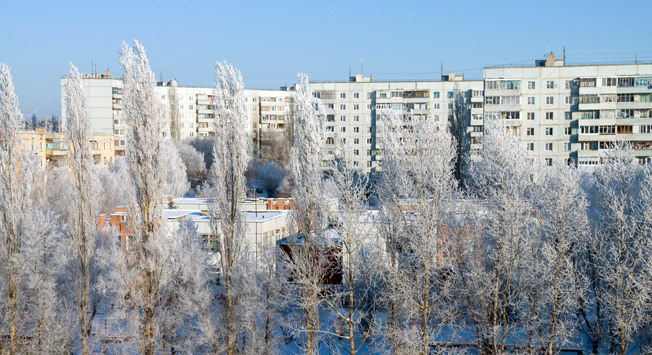 Voronezh is a city of a million people, one of the biggest cultural and financial centres of the European part of Russia, situated on two sides of the ‘Voronezhskoye Morye’ and linked by three transport routes: by road, rail and on foot. • Voroznezh’s satellite town Novovoronezh, which is famous for its nuclear power station, is located 40 kilometres from Voronezh itself. • Voronezh is divided historically into two banks: the city centre is located on the right bank, while on the left bank are all the factories and the city’s industrial might. In the XVII-XVIII more than 200 battleships were built and launched here for Russia’s Navy. • ‘There is an ‘Ulitsa Voronezhskaya’ in St. Petersburg, Moscow and in many other cites. Dmitiry Sautin - the 8 times Olympic diving medallist (two of these are gold medals) is one of the city’s most famous sons. The best place for a walk around the city with an excellent view of the left bank is the Admiralteyskaya Naberezhnaya, which was constructed to commemorate the 300th anniversary of the Russian Navy. Voronezh is justifiably famous for its theatre school. According to the Russian edition of the journal ‘Forbes’, the Kamenniy Teatr in Voronezh is among the top 10 most interesting provincial theatres worth visiting in Russia. It is advisable to purchase tickets (which cost from 500 roubles) (that would be 14.96 USD or 9.14 GBP) in advance from the theatre’s website . We recommend watching the drama ‘Kaleka s ostrova Inishmaan’ (the Cripple from Inishmaan Island), which is performed in Russian. Also keep an eye on the Voronezhskiy Akademicheskiy Teatr im. Aleksey Koltsov ( Voronezh Academic Drama Theatre named after Aleksey Koltsov’s ) for the play ‘Priruchenie stroptivoy’ (The Taming of the Shrew) and the Voronezhskiy Gosudarstevnniy Teatr Operi I Baleta (Voronezh State Opera and Ballet Theatre) for the ballet ‘Shchelkunchik' (‘The Nutcracker’). Voronezh is a very ‘green’ city, If you want to go for a walk ask a taxi driver to take you to Koltsovskiy Skver (in the centre of the city), or to the Pervomayskiy Sad, or Petrovskiy Skver. The city’s main street is Prospekt Revolyutsii (the former Bolshaya Dvoryanksaya) and is rich in restaurants, souvenir shops and cinemas. You can take lovely photographs on Karla Marksa street (on Kamenniy Most, which brides are ‘carried across’ in the wedding tradition) and Teatralnaya Ulitsa or Admiralteyskaya Ploshchad. There are a great number of Orthodox Churches in Voronezh. The most interesting churches to visit are the Blagoveshchenskiy Kafedralniy Sobor (Annunciation Cathedral), Pokrovskiy Sobor (Protection of Our Lady’s Church) and the Uspenskiy Admiralteyskiy Khram (Dormition Admiralty Church) – this is the oldest church in Voronezh, which recalls Peter the Great’s time. If weather permits, its worth travelling to the southern part of the Voronezh region where the popular nature reserve Divnogorye is located with its unique cultural sites. • There is an international airport in Voronezh and there are also flights from Moscow. As an alternative you can travel to the city by bus/train/car from the capital. • When choosing a hotel check our ‘Art Hotel’ in the centre of the city or the cheaper hotel Azimut . • Be very careful if you are driving around the city – accidents happen everywhere and drivers are very reckless. • There is no metro system in the city – the most popular form of transport is the route taxi and usually a taxi around the city costs between 100 to 300 roubles (that would be from 2.99 to 8.98 USD or 1.83 to 5.49 GBP). • The best pizza in the city is made in pizzeria ‘Strekoza’ ( Plekhanovskaya Ulitsa 53 ). Try the ‘Calzone mi amore’. • If you travelled here alone and you have not managed to meet anyone – head straight for the epicentre of the city’s glamorous night life – the ‘Angels’ club . The club’s usual clientele are the ‘crème’ of Voronezh’s youth as well as lots and lost of beautiful girls. The club employs very strict face control so it is best to leave sneakers and ripped jeans at home. •Barkhat is an expensive and fashionable Karaoke bar with a dance floor and is therefore busy. • One of the biggest restaurants in Europe with more than 1,000 seats is to be found right in the centre of Voronezh - ‘Balagan city’ . The coffee house ‘Mesto’ and DJ-Café ‘Dzhumandzhi’ stand out among others. • The ‘Galareya Chizhova’ is the largest shopping centre in Voronezh, which belongs to a businessman of the same name, while the shopping centre ‘Moskovskiy Prospekt’ is a little smaller. • The climate is more ‘southern’ than Moscow and is therefore softer and milder. You can confidently plan a trip between May and September and you will be lucky with the weather.